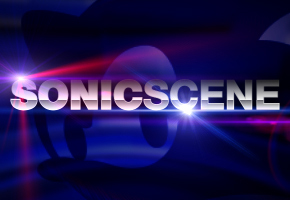 Yesterday, production stopped on the Sonic fan film we reported on last month. Due to some recent conflicts, the production of the film has officially ceased till further notice. Trailer Redux however will continue as promised. Release date still unconfirmed. After explaining the past conflict with Sega among the other afflictions I encountered, they are willing to give it another shot which leads into a new strategy in getting this approved. Throughout this week, I’ll be collaborating with the aforementioned representative to compile a promotional package to sell Sega of Japan on the idea. And no, Im not being paid to do this. It’s a completely different method from what I did 2 years ago since its a PDF file containing a new pitch presentation, artwork, storyboards, cast members, production crew, finances, sequels, merchandising, and musicians. The main issue I had was in regards to the voice actors but I managed to settle on a compromise that will satisfy both the A-list actors and the ones that worked on the fan film. This way, everyone will be able to contribute. Now since I am working with a major studio on this mini-project, I unfortunately can not reveal any info or post the actual package online. Once it’s completed and all the details are ironed out, the studio (not me) will make their rounds with Sega of Japan and do everything they can to sway their interest. From there, we just play the waiting game and hope they respond with a positive deliberation. If things are still pending by December, hopefully the mass Call-in that Sonichedgehog360 arranged will give it that extra push to prove that there is a demand from the public. I’m not promising victory with any of this, but I feel this is an appropriate way to cap off the decade from all the people, work and money that was implemented in this project. By going down in a blaze of glory. If the studio fails with their efforts, the contingency plan of course is the fan film. Thanks for the ongoing support guys. FYI, how would you guys feel if a certain punk rock trio covered the SatAM theme song? From the passage, it isn’t made clear who exactly the studio is–and more precisely, who “U.P.” is. But it likely is again “U.S.”–or Universal Studios, the movie making arm of NBC Universal. Of course, this could be a matter of history repeating itself: it was Universal who had first had an interest in the project when the Sonic fan film was first coming to fruition a couple of a years back, and it was Sega of Japan who passed on giving the film its “official” blessing back then. Kuta may have again attempted to give more credibility to the project, only to be shot down via official channels. If that’s the case, it’s unclear whether he directly failed, or whether Universal couldn’t get it done on his behalf. We’ll try to get to the bottom of what’s going on. UPDATE: Ryo an ASR DLC Pre-Order Bonus in Spain?